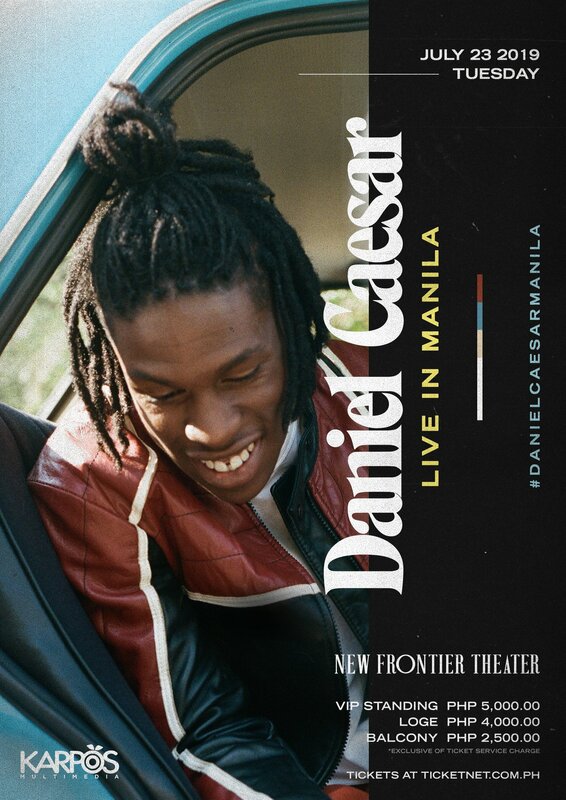 After uploading a cryptic teaser yesterday, Karpos Multimedia has unveiled the full details behind Daniel Caesar’s gig in Manila. The 23-year-old is set to perform on July 23, 2019 at the New Frontier Theater. Tickets go on sale on March 23, 10 AM exclusively at TicketNet outlets and online at ticketnet.com.ph.